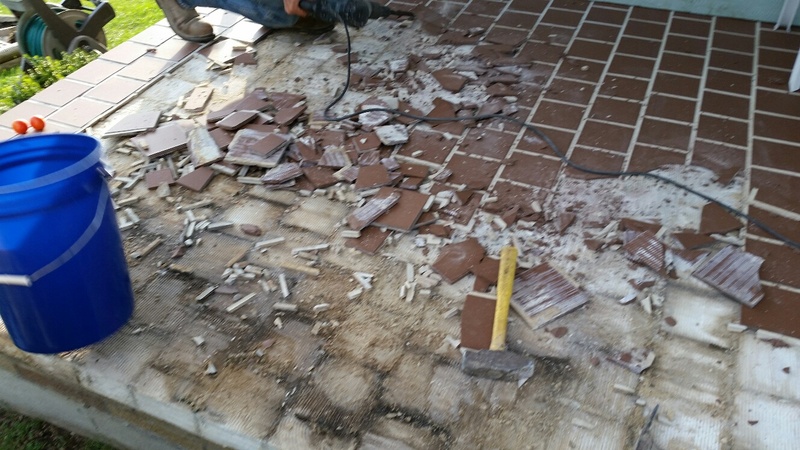 - The homeowner had ceramic tile on her porch / patio and it was cracking and peeling off. 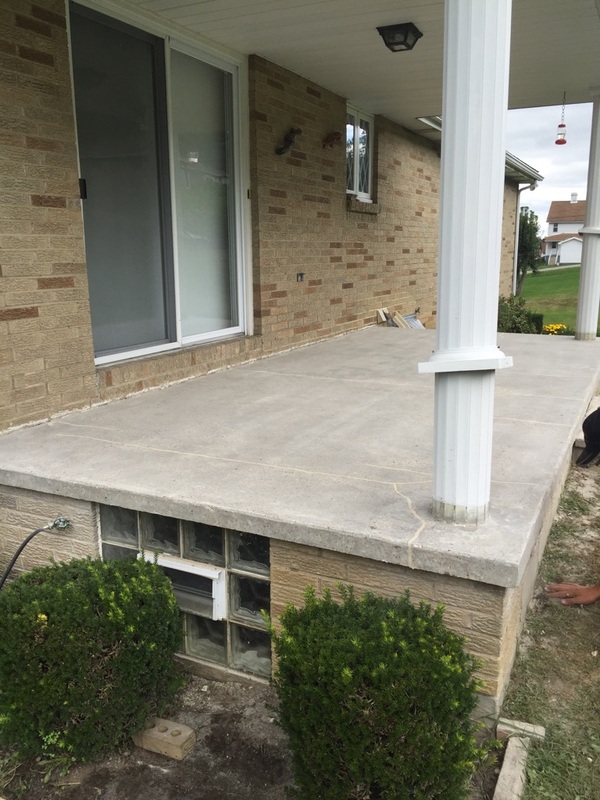 - She was getting water in her basement under her porch. 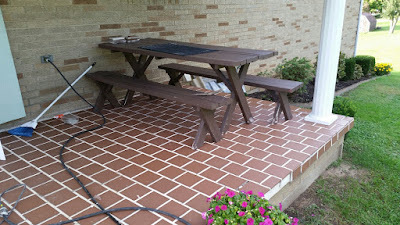 - After removing the tiles, the contractor, Maverick Contracting, found lots of cracks and some holes around a few of the pillars. The Maverick Contracting crew patched and filled concrete spalls and cracks with SPARTACOTE® FAST FIX™. 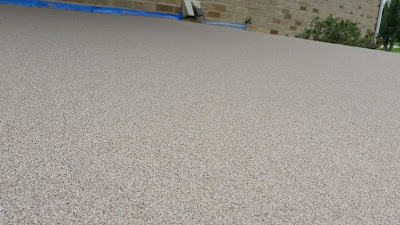 They prepared the surface to an ICRI CSP 2 and then applied a double broadcast of SPARTACOTE Quartz system which is perfect for outdoor use. The homeowner although skeptical at first, was extremely happy after the project was finished and loved her new decorative concrete patio! 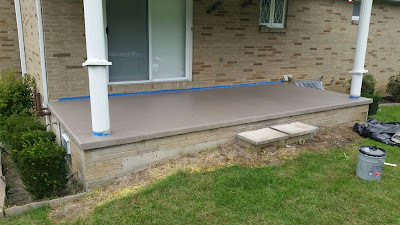 Maverick Contracting, LLC is a concrete coating company in North Central West Virginia who has been in business over 30 years. They specialize in decorative, slip, chemical and salt resistant, concrete coatings and overlays such as LATICRETE SPARTACOTE®.